Ahead of Summit of the Americas, “Venezuela: What Everyone Needs to Know” | Democracy Now! Tensions are high between the United States and Venezuela as President Obama heads to Panama for the Summit of the Americas. Watch our coverage of the summit with Latin American history professor Miguel Tinker Salas and Mark Weisbrot, co-director of the Center for Economic and Policy Research. Before then, you can read an excerpt from the forthcoming book by Tinker Salas below. Reprinted from Venezuela: What Everyone Needs to Know ® by Miguel Tinker Salas with permission from Oxford University Press, Inc. © Oxford University Press 2015. The first thing most people outside of Venezuela know about the country is its former president, Hugo Rafael Chávez Frías, one of the most charismatic and controversial leaders in the Western Hemisphere in the last one hundred years, whose death in 2013 traumatized the nation. The political discontent and the support of social movements that propelled Chávez to power in 1998 thrust Venezuela onto the international stage and recast relations with the United States, Latin America, and the rest of the world. Chávez represented the first of a wave of Latin American leftist leaders to assume office during the 1990s and the early 2000s in the wake of Washington’s policies that dramatically increased inequality in the region. Venezuela’s previous disengagement from regional issues and its newfound notoriety under Chávez were directly related to the vast oil reserves that sustain not only its economy but remain a central component of its culture and its very identity. Oil has served as the nexus of Venezuelan-United States relations since the discovery of vast deposits in the 1920s began to shape economic and political relations, and forged a web of personal and social relations that has endured over time. Except for its connection to oil, before 1998 Venezuela seldom registered in the North American popular imagination. With large oil reserves and the profits they generated, economic and political elites in Venezuela did little to promote the country outside its borders. Aside from an occasional article in National Geographic that usually highlighted the beauty of its natural environment, the purported exceptional character of its democracy, and the importance of its oil economy, most people would be hard-pressed to find an in-depth account on Venezuela in the mainstream media or popular press. The factors common to other Latin American nations that might have brought Venezuela to the full attention of the United States did not exist. With little or no promotion, Venezuela remained something of an undiscovered gem, never becoming a popular destination for tourists seeking warm Caribbean beaches despite its exceptional coastline, a chain of tropical islands, and spectacular offshore coastal reefs. It also was not on the itinerary of people seeking to explore indigenous civilizations or expressions of Afro-Latin American culture. Unlike the promotion of Brazil’s African heritage and Mexico’s indigenous traditions, through most of Venezuela’s history there was no concerted effort by those in power to highlight the country’s diverse racial or ethnic heritage. Its diverse environment — including snow-capped Andean mountains, vast Amazon rainforests with unique topography, windswept sand dunes, the largest fresh-water lake in South America, and the world’s highest waterfall — never attracted significant numbers of foreign visitors. Few knew about its culinary traditions, its arepas (corn cakes) that are consumed daily, cachápas (corn pancakes), pabellón (the de facto national dish of string beef, white rice, black beans, yucca), hallacas (a Christmas dish similar in some ways to tamales), and many other dishes. Immigration might have increased contact between the United States and Venezuela, as it did with other Latin American countries. However, unlike those countries, Venezuelans seldom emigrated in significant numbers to the United States or to other parts of the world. The 2000 United States Census Bureau placed the number of Venezuelans in the country at 91,507, a significant percentage of whom reside in South Florida. The 2010 census recorded that their numbers had increased to 215,023. Even accounting for an undocumented population or any recent unlisted increases, Venezuela has over thirty million people, suggesting that despite dramatic political changes, only a relatively small percentage of the population has actually emigrated to the United States. Nonetheless, Venezuelan elites and members of the upper middle class have regularly traveled to South Florida since the 1950s and have even begun to acquire property, establishing a strong presence in the Miami area. Drawn by the oil interests headquartered in the region, Venezuelans also commonly emigrated to Texas, especially Houston and Dallas. The oil industry and business interests motivated most contact between Venezuelans and North Americans. On occasion, Venezuela’s independence leader, Simón Bolívar (1783–1830) drew attention to the country. Bolívar had proposed the creation of a supra-nation composed of former Spanish colonies in order to alter the balance of power between Latin America, Europe, and the United States. His writings continue to beguile those on both the left and the right who cite him to affirm their divergent points of view. Revered in Venezuela and in many other countries in Latin America as El Libertador, his legacy inspired proponents of social change long before Hugo Chávez appeared on the political stage. Descriptions of Bolívar in United States as the “George Washington of Latin America” fail to capture the enormous symbolic role he continues to play in contemporary Venezuela. 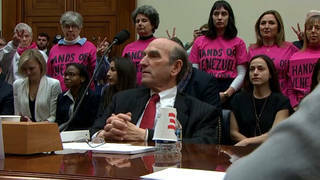 There are contemporary events for which Venezuela has garnered some attention in the United States. In the sports world, Venezuelans have fielded a talented pool of baseball players, second only to the Dominicans in the major leagues. Venezuelan Miguel Cabrera, the Detroit Tigers’ third baseman, was the most valuable player in the American Leagues for two consecutive years, 2012 and 2013. Others might identify the country for its uncanny ability to win Miss Universe and Miss World pageants, giving rise to a cult of beauty. In an unprecedented occurrence, Venezuelan women won two consecutive Miss Universe crowns in 2008 and in 2009 and won again in 2013. Baseball and, to a certain extent, the beauty pageant phenomenon have their roots in relations with the United States and the oil industry. The US oil companies that operated in Venezuela promoted baseball as a way to socialize workers in what they considered appropriate forms of behavior. They built stadiums, sponsored teams, and subsidized star players, helping to popularize the game among all strata of Venezuelan society. Similarly, the Valley Arriba Country Club, a facility in Caracas frequented by North Americans and Venezuelans employed in the oil industry, hosted the first celebration of a Miss Venezuela pageant in 1952. Catalina swimsuits and Pan American Airways promoted Venezuela’s participation in the first Miss Universe pageant held in Long Beach, California that same year. In the last decade, Venezuela has also gained international acclaim for the success of its national youth orchestra program known popularly as el Sistema (the System). Started in 1975 as the brainchild of José Antonio Abreu, the program, officially known as the Fundación Musical Simón Bolívar (Simón Bolívar Musical Foundation), has expanded to provide underprivileged children with training in classical music throughout the country. Musicians and conductors trained under the auspices of el Sistema, including Gustavo Dudamel, the celebrated conductor of the Los Angeles Philharmonic, have established international reputations in leading orchestras throughout the world. In the last decade, Venezuela’s oil company Petróleos de Venezuela (PdVSA) has expanded operations in the eastern Orinoco River basin, where heavy crude deposits have increased its certified reserves to 296 billion barrels, and its recoverable reserves are estimated at 513 billion barrels, an immense quantity that surpasses the holdings of Saudi Arabia as the principal petroleum reserves in the world. Venezuela also ranks first in Latin America and eighth in the world in certified natural gas reserves with 5.5 trillion cubic meters of gas. At many levels, oil continues to be the key that helps explain and elucidate contemporary Venezuelan society, culture, and history. Control of the Venezuelan state implies control over the nation’s purse strings, which overwhelmingly means oil and gas. This was the case when US oil companies operated in Venezuela, and it has been the case since the country nationalized oil in 1976. As the principal engine of the Venezuelan economy, the immensity of petroleum assets has served to obscure social inequality and has helped create an illusion that all sectors of society share in the wealth. Like a lubricant coating the various parts of an internal combustion engine, oil literally permeates every aspect of Venezuelan society in ways that are not apparent to an outsider. Long before Chávez’s first electoral victory in 1998, the key role of oil was evident in practically every arena from the absurdly low price charged for gasoline — less than five cents a gallon — to subsidies and programs that reach every sector of society, including subsidized dollars for the private sector, the funding of various social programs, higher education, transportation for students, and basic food products. Many Venezuelans consider subsidies derived from the oil industry as a birthright, and no government that hopes to remain in power has altered this arrangement. This reality inevitably heightens political tensions over control of the state, and the social policies and perspectives that determine the allocations and distribution of these important resources. This fact, more than any other, informs the conflict between the divergent political factions in Venezuela. While there is scant knowledge of Venezuela in the United States, the opposite is not the case. Among almost all sectors of society, but especially among the middle and upper classes, as noted above, there is intimate and even personal knowledge about the United States’ cultural, political, and social sensibilities. Knowledge of the “American way of life” includes broad exposure to US consumer culture, fashion, music, sports, films, diet, and the English language. 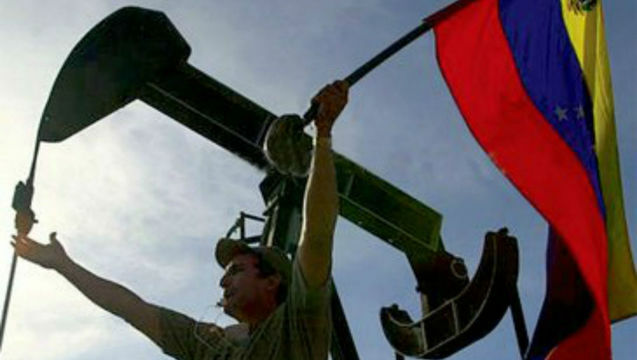 Many Venezuelans understand and order their relations with the outside world from the perspective of Venezuela as an oil exporter that services the energy needs of the United States. Furthermore, the special relationship with the United States has influenced a strain of thought among middle and upper classes that Venezuela represents an exception to the experience of other Latin America countries. Sustained relations with United States oil interests, government policy, and the presence of foreigners in the country has shaped social and political attitudes as well as consumer patterns. Without having to exercise an actual physical presence, at many levels the United States and the lifestyle it promotes functions as an internal constituent within the Venezuelan sociopolitical landscape. Efforts by the Chávez government and the social movements that elected him to promote a brand of twenty-first century socialism have occurred within a country where the prevailing values of a capitalist society have sunk deep roots. The export model that the oil industry engendered led many social sectors to develop faith in the tenets of the capitalist system, a free market, the importance of private property, and a strong sense of individualism. Oil revenue appeared to transform Venezuela, and nowhere was this more evident than in Caracas. Leaving behind its quaint tradition of identifying addresses by their proximity to street corners and an urban landscape dotted by red tile roofs, within the span of decades the city became a metropolis of skyscrapers and bustling freeways. To a lesser extent, this transformation also occurred throughout the country in the leading cities, including Maracaibo, Valencia, Maracay, Maturin, and Barcelona. Beyond a physical transformation, Venezuelans increasingly appeared to lose a connection to their immediate past. By the mid-1950s, Caracas and Maracaibo, the country’s two largest cities, boasted United States-inspired department stores and supermarkets that catered to the expanding tastes of middle-class Venezuelans. These and other practices aimed at stimulating consumerism spawned a lasting legacy of conspicuous consumption. Rates of electrical consumption in Venezuela, for instance, place it as one of the highest per capita consumers of energy in the region. With forty-two percent of Venezuelans claiming to drink Scotch whiskey, the country has the highest per capita consumption rate of this beverage in Latin America, especially the eighteen-year-old variety. It has one of the highest per capita rates of beer consumption in the region with over 89.95 liters per inhabitant. Twitter usage is among the highest in the world, Chávez, who had close to four million followers, regularly used the medium to reach a broad audience. Likewise, per capita ownership of smartphones surpasses many other countries in Latin America. To comprehend Venezuelan political and social values, it is essential to consider the role the oil industry has played in generating expectations for continued growth and social mobility. Foreign control of the oil industry for much of the twentieth century reinforced these values. Nationalization raised expectations that the country would eventually attain levels of development similar to those of other more advanced Western nations. It is hard to underestimate the spell that oil cast over the nation, both in the immense profits the elites derived and the privileged lifestyle enjoyed by those employed in the industry. Writing about contemporary Venezuela today is a complicated task, one made all the more difficult as we assess the post-Chávez landscape, a landscape that he shaped more profoundly than any leader in Latin America in this century. A country that previously seldom registered on the world stage became the source of global attention, mostly centered on the actions of Chávez, who died in March 2013. Informed by media accounts, many people seem to hold relatively one-sided opinions of Venezuela under Chávez. Typically depicting Venezuela as the principal nemesis of the United States in the region, most media accounts usually began their coverage by portraying Chávez as a faithful protégé of Fidel Castro, hoping to capitalize on a reservoir of enmity toward the Cuban revolution. Reducing Venezuela to a conspiratorial regional left bloc, many unfamiliar with Latin America’s distinct national histories are quick to claim that Evo Morales, the president of Bolivia, and Rafael Correa, the president of Ecuador, were walking in lockstep with Chávez — a kind of leftist “three amigos” cannily conspiring against the United States. Venezuela’s newfound prominence reflects the extent to which the country has managed to insert itself into regional and world affairs in little over a decade, influencing international debates on a wide range of topics. Much of what Venezuela has proposed — including a nationalist energy policy, multipolar international relations, regional integration, food security, and national sovereignty — now frame mainstream political discourse throughout Latin America. Undoubtedly Venezuela’s huge oil reserves have served to magnify its importance across the globe. Venezuela’s newfound presence on the international stage is even more dramatic precisely because of its previous disengagement not just from regional concerns but from world matters. Accustomed to dealing with a country that operated firmly in its orbit, the Washington political establishment, the media, and many academics in the United States appeared ill-prepared to deal with the dramatic changes that gained momentum in Venezuela after 1998. In the past Venezuelan politicians seldom ventured from travel between Caracas and Washington, occasionally visiting New York and the United Nations, but never including Beijing, Moscow, Brasilia, Buenos Aires, and much less Tehran or Luanda, Angola on their itinerary. Now they do so frequently. Although the United States is still an important market for its oil, Venezuela no longer privileges relations with Washington, and instead promotes ties and pursues investments from countries as distinct as Brazil, India, Iran, Russia, and China. The so-called Chávez phenomenon, however captivating, is not necessarily the best way to understand contemporary Venezuela. While it would be relatively simple to divide Venezuela into periods that correspond to before and after Chávez’s first electoral victory (and to adopt the US media fixation with controversial figures), the actions of one person who was in power a little over a decade do not do justice to the history of the country. Oil and the political, economic, and social expectations it generated provides a much more comprehensive lens through which to understand contemporary Venezuela. This book therefore explores Venezuela from the perspective of periods before and after the rise of the oil economy. The first part of the book traces the historical continuities between the colonial period and the rise of an independent yet fragmented nation. It highlights Venezuela’s torturous transition to a republic during the nineteenth century, marked by recurring civil wars and the absence of a powerful national elite capable of imposing a unifying national project. Breaking with traditional interpretations, this section underscores the role of race and inequality as constant sources of social and political tension in the country. The second part of the book turns to the twentieth century. The discovery of oil in the first decades of the twentieth century held out the promise of dramatic change, although in practice it did little to alter the structures of power or the nature of economic relations. Rather than introduce a new anticipated modern era, the oil industry grafted itself onto the long dictatorship of Juan Vicente Gómez (1908–1935). The nascent oil industry lent Gómez legitimacy while simultaneously extracting generous concessions for its own accumulation of economic and political power. The Venezuelan economy increasingly became dependent on oil revenues, and imported much of what it consumed. In fact, by 1935 Venezuela was a net importer of basic foodstuffs. In the decade after the death of Gómez, divergent visions of the country emerged. For many in Venezuela, the government of Isaías Medina Angarita (1941–1945) held out the hope for an alternative form of development, one that would foment agriculture and promote a Venezuelan industrial sector. A civilian-military coup in October 1945 put an end to that hope. The short-lived democratic experiment that followed ended in yet another military government that lasted, with some changes, from 1948 until January 1958. Despite its connections to antidemocratic regimes, oil unleashed new political forces and expectations that military governments proved unable to control. The late 1950s produced renewed clashes between middle-class political parties, leftist groups championing the lower socioeconomic strata of the nation, and the military in power. With the ouster of the last military dictator, Marcos Pérez Jiménez, in 1958, democratic parties devised a power-sharing arrangement to minimize interparty conflict, control the military, and limit challenges from the left that had played a decisive role in overthrowing the dictatorship. After 1958, the two parties that dominated the political landscape, Acción Democrática or AD (Democratic Action, Social Democrats) and the Comité de Organización Política Electoral Independiente or COPEI (Committee of Political Electoral Independent Organization — Christian Democrats) used a carrot-and-stick approach: oil revenues were used to build patronage networks aimed at the middle classes and create social programs to mitigate the plight of the poorer sectors with the expectation of their votes at election time. Any demands for more wealth sharing from the left were severely repressed. This arrangement served the government well until oil prices declined precipitously in the late 1980s. Repeated charges of corruption, cronyism, mismanagement of the economy, and the crash of several leading banks and insurance companies deepened the political crisis. Oil revenues had initially allowed Venezuela to avoid the austerity measures that had produced crisis in Mexico, Argentina, and other Latin American countries during the 1980s. Facing worsening conditions, the AD government, after first promising exactly the opposite in the elections of 1988, capitulated to international lending agencies and introduced austerity measures that sparked widespread political unrest and created the conditions that gave rise to a new alternative. Finally, the book’s third section focuses on the Chávez era and, now, the post-Chávez era. As a major producer of oil within OPEC, Venezuela remains important to the United States and the countries of Latin America. After more than a decade of social transformation it is difficult to imagine a scenario under which it will revert to the two-party/single policy form of electoral democracy that the United States still promotes within the region. To win support among the poor in the past few years, conservative opposition leaders have moderated their rhetoric and habitually promise to continue supporting social programs that mitigate inequality. Despite depictions to the contrary, social movements and groups that supported Chávez and now his successor Nicolás Maduro are not undiscerning masses blindly captivated by charismatic leadership. Their loyalty depends on the ability of the government to fulfill its promise of political and socioeconomic change and improve their standard of living. The social forces unleashed in the last decades have gained a new voice and will demand a continued role in society. Likewise, it is unlikely that the well-organized opposition to the government will retreat or cease to defend their interests. When oil was discovered in Venezuela, the population hovered at 2.5 million people; today the country has surpassed thirty million inhabitants. Idyllic depictions of the past fail to capture the dramatic increase in population and the new social and economic demands that this generates for any government in power. To say that Venezuela today is polarized is tantamount to a cliché. Politics has divided families and strained friendships. However, to suggest that class and racial divisions did not exist before the election of Chávez fails to recognize the deep social and racial fissures that have existed throughout the entire course of Venezuela history. What is clear though is that the appearance of Chávez on the political stage served to channel economic and social discontent that might have otherwise degenerated into open conflict as occurred previously in the Caracazo, the social rebellion of February 1989 that engulfed the capital and other cities. Dueling political, social, and even cultural visions fuel the current polarization. Chávez and the dramatic changes underway since 1999 profoundly challenged deeply held individual and group assumptions about Venezuelan society, including political alliances, class and social relations, national identity, racial constructions, and even Venezuela’s place in the world. Upper- and middle-class sectors, long accustomed to privileged relations with the state and civic society, fear that new political arrangements and social programs come at their expense. In reality the many new social programs are new parallel structures and have not directly affected the wealthy, and in fact some have benefitted economically from the policies of the past decade. However, the conservative opposition’s concerns are much deeper than simply politics or economics. Many sectors presumed that oil permitted Venezuela to claim a distinct status within Latin America, and considered natural its relative isolation from the rest of Latin America. For many, the election of Chávez meant that Venezuela became everything they had attempted to negate: another Latin American country led by a mixed-race, charismatic ex-military officer that promised to improve conditions for the poor, and worse, dared to invite them to participate as full-fledged citizens of the newly conceptualized nation. Members of the current opposition often complain that they have “lost their country,” and hope to recover the old Venezuela. This perspective, at its core, reflects their sense of ownership over a national project that embodied their values and affirmed their position in society. Many of these values embody a vision of Venezuela as an oil-producing nation aligned with the United States and Western values. The growing population, formerly marginalized and largely absent from this previous national narrative, has, for the moment, lent its support to political forces offering an alternative reading of Venezuelan society. Social movements, some with a long history of struggle and others newly empowered, demand to be included in the political process and share the nation’s oil wealth. Whatever government holds power in Caracas will have to deal with this new political reality. How these dueling forces resolve these contending visions of Venezuela has significant political and economic implications for the United States and the rest of the globe. Since Venezuela seldom attracted attention in previous decades, scholars in the United States who studied the country labored on the margins of a field dominated by Mexico and the Southern Cone, referring to southern Brazil, Argentina, Chile, Paraguay, and Uruguay — the most prosperous macro-region in South America. But recent political upheavals, as exemplified by Cuba after Fidel Castro, or Nicaragua after the Sandinistas, sparked renewed interest in those countries whose earlier challenges to United States policy had already generated an upsurge in scholarly interest. As was previously the case with Cuba and Nicaragua, Venezuela has been transformed from a friendly ally into an obstacle to Washington’s plans for the hemisphere. This adversarial relationship has prompted scholars to question the operating assumptions that existed about the country’s history and society, and new scholarship is emerging that offers a more nuanced view of the country’s past and present. The media — more than just National Geographic — is also drawn by the events that are reshaping the country. Increased coverage, however, does not always produce greater clarity and is often unable to explain either the intricate nuances of Venezuelan society or the complex web of personal and economic relations that drive politics. Seldom is there any serious attempt to move beyond the dueling forces of Chávez and the leadership of the opposition bloc that challenged his presidency and now his legacy. This book seeks to redirect that conversation.